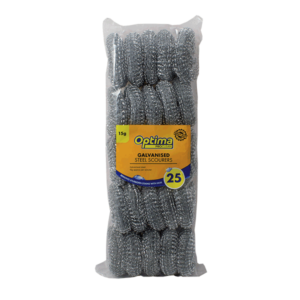 Catering professionals often require an abrasive material which will remove baked on food and grease from surfaces. 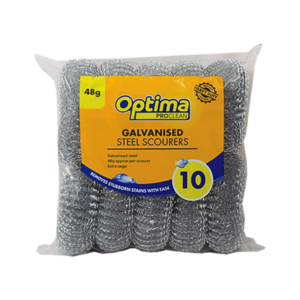 For these extra tough cleaning tasks our range of metal scourers are the perfect tool for the job. 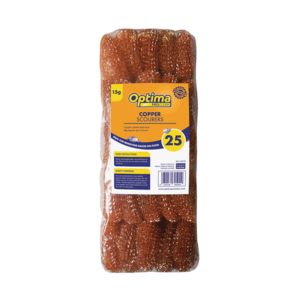 Copper plated scourers will not rust and they reduce the risk of scratching whilst still offering the abrasive properties required for removing baked on food and grease. 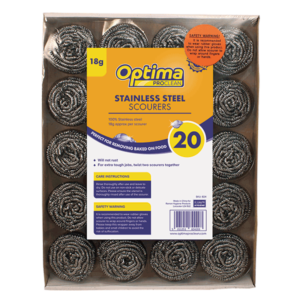 DO NOT use on non stick or delicate surfaces. 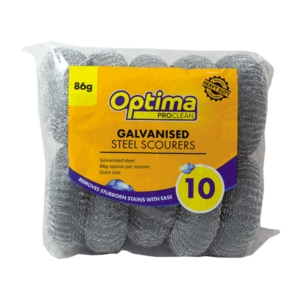 Galvanised metal scourers remove stubborn burnt on food stuffs and grease from metal surfaces with ease. DO NOT use on non stick or delicate surfaces. 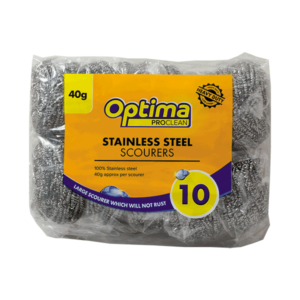 Stainless steel metal scourers will not rust and they are perfect for removing baked on food. 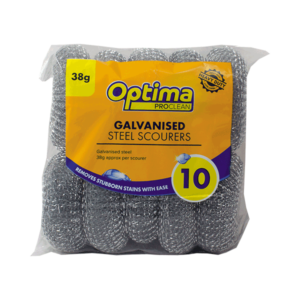 These large heavy duty scourers are supplied individually wrapped. DO NOT use on non stick or delicate surfaces.